The installer detects which one of these is actually installed on your site and only publishes the ones you need, the other ones remain unpublished. You can manage these through the Plugin Manager. If you have other extensions installed, don't worry, there are many plugins to connect third-party extensions, Zoo, K2, Hikashop, etc, see the full list. Support is growing, with more and more extensions supported. 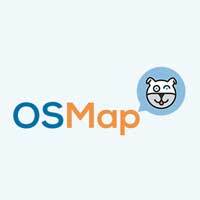 First download OSmap from the Joomlashack website and install it through the Joomla Extension Manager. If it finds a previously installed version of Xmap, you will find a migration button to import the Xmap configuration. Click it if needed (and do not forget to uninstall the old Xmap Component!). Then go to Components >> OSmap >> Extensions and activate / configure the extensions you have installed on your site. OSmap can also generate nice Image Sitemaps. Especially the Pro version has excellent support for this, and it can also detect embedded galleries from 3rd-party-extensions. Especially if images are important for you, you need image sitemaps. This helps your images to be included in the Google Image Search. Credits to Rene Kreijveld for the tip. In order to offer the sitemap to your users, also create a menu-item for it. JSitemap: Commercial only. An excellent alternative, only 5 stars reviews. If OSmap does not work out for you, try this one.